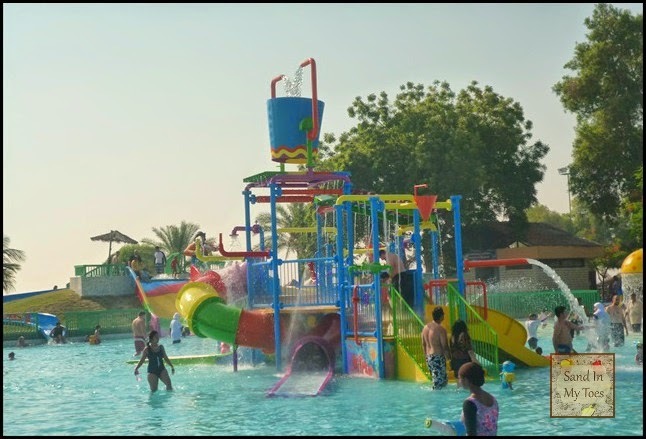 As water parks go, there are numerous in Dubai and the rest of the country. They're enough to keep us busy throughout the hot summer, and that's not counting the beaches! Would you believe that I hadn't stepped foot in a water park since Little Dude was born? I didn't see any point in going when I would end up looking after a little one who wasn't very fond of the water. 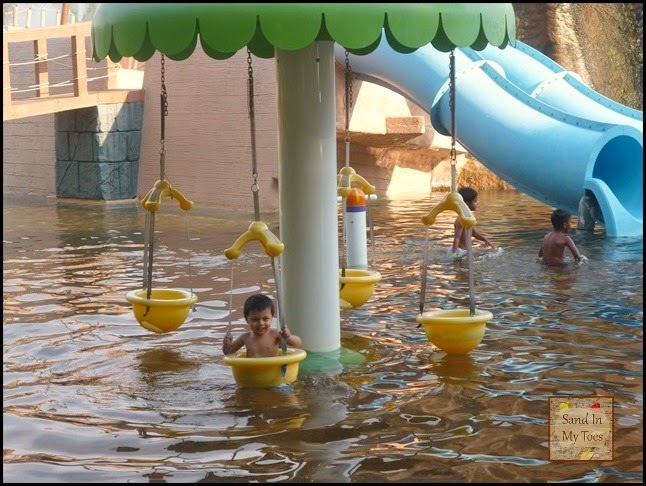 Thankfully, things are different now, and he does like the water, so we went off on a staycation to the emirate of Umm Al Quwain, which has the Dreamland Aqua Park. It's not the biggest, but it's enough to spend the whole day in, and we loved it! What I liked most about this place is the landscaping. There are so many interesting structures built to look like mountains and rivers, and even a cave! It's hard to believe that it's man-made. 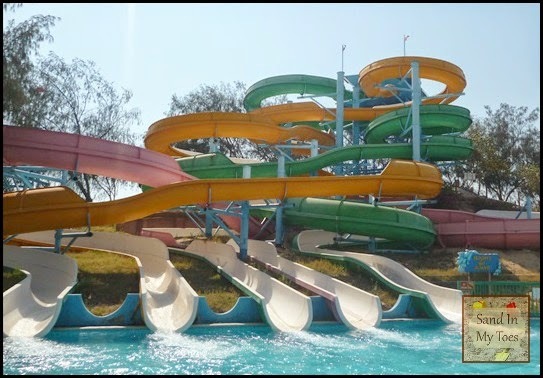 Here's where we spent most of our time - these water slides were awesome! Little Dude had to stay on the sidelines with one of us, but even a few times down them was worth it. 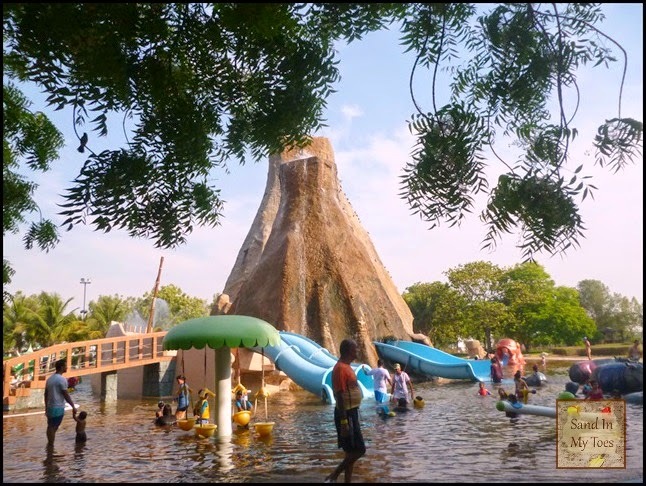 The children's water park is the largest, and had a lot of fun things for kids to do. However, Little Dude wasn't too impressed, because there's a giant bucket on top which throws down water every few minutes and he doesn't like getting drenched! He did have fun in another part of the park, though. There were water swings to sit on, and he sat there for a long time. He can't swim yet, so this was safe. The underground cave was magnificent, but I couldn't get a picture of it because I couldn't take my camera in there, and it was dark. 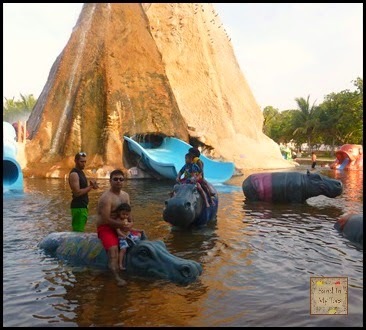 The best part about this area were the hippos in the water, and Dad and son had fun riding them! 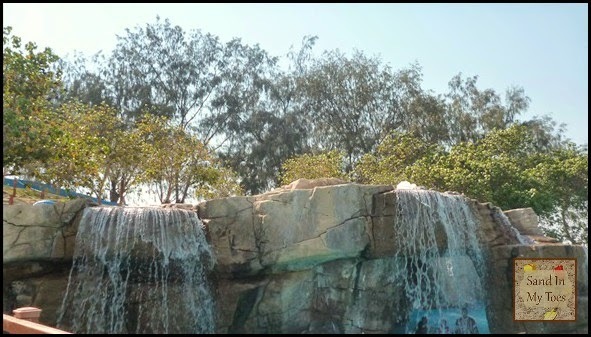 There are many more places to splash around in, but we couldn't do them all. 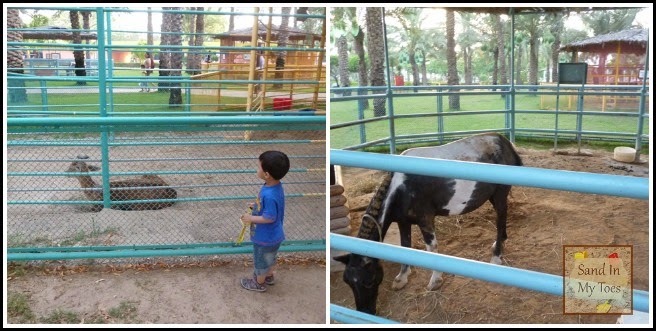 Another nice feature of the park is a mini zoo right near the entrance. As we were leaving, Little Dude had a look at the deer, pony, monkeys, peacocks and other birds. Where am I in these pics? Will this family selfie do?! 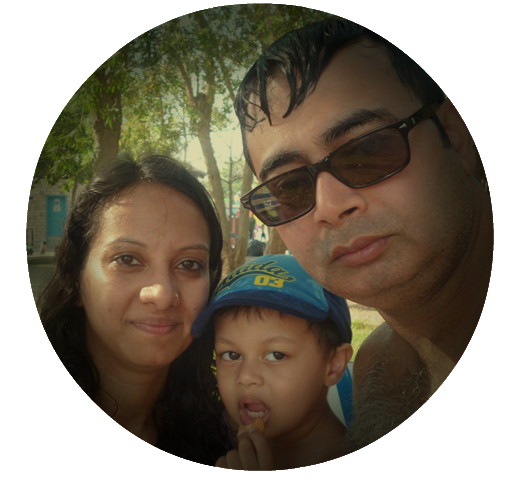 We had a memorable time, and would love to spend this summer exploring more of UAE's water attractions now that we can. Looks like you had lots of fun! I remember going to dreamland in 2011 when I first came to Dubai. Haven't been there after that. That's a very nice family pic. What a great park with lots of wonderful equipment to keep the children happy all day! It's lovely to see you in a photo too, thanks for linking up and sharing your water fun with Country Kids. They were Little Dude's favourite! I've driven past here and will have to return. It looks like a lot of fun! OMG that looks utterly fantastic and right up my street (i only wish i meant that literally) what a fab place! p.s i am so jealous! You should give it a visit, then! Maybe you should plan a holiday to Dubai, how about it?! Looks amazing. I went to Wild Wadi in Dubai quite a few years ago and it is still the waterpark I judge all others by.